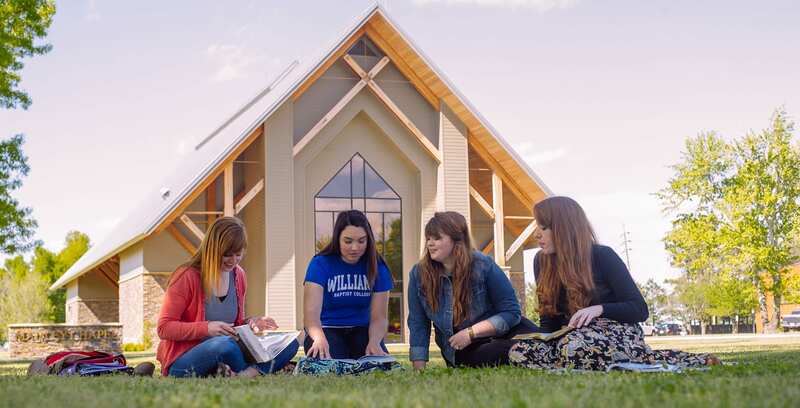 Williams Baptist University is an independent, non-profit, church-related institution which does not discriminate on the basis of disability in the provision of educational services. Although Williams does not provide separate programs for students with disabilities, accommodations for a class presentation, evaluation, and access will be determined on a case-by-case basis once the student has disclosed a disability, and appropriate documentation supporting the request for the accommodations has been provided to the College. All students, regardless of disability, must meet the same admission and graduation requirements. Check out the differences between high school and college accommodations for students with disabilities. For further information, contact Aneita Cooper, Director of Counseling, at 870-759-4184. Disability accommodations are offered through Williams Baptist University Counseling Services. It is our desire to help students make the transition into college life and connect them with those services and resources needed to be successful in college. In accordance with Section 504 of the 1973 Rehabilitation Act, and the Americans with Disabilities Act of 1990, WBU provides reasonable accommodations and temporary accommodations to students with a physical or mental impairment that substantially limits one or more major life activities, including learning. It is important for students to understand that at WBU, students who wish to receive accommodations must self-identify to our counselors in order to begin the accommodation process. Please note that current and appropriate documentation of a disability is required in order to obtain requested services. As students move into the adult world, self-advocacy and self-reliance become very important skills. The ability to cope with the challenges of daily living, as well as the ability to clearly communicate one’s needs contribute to a successful college outcome. Williams Baptist University is committed to providing all students with optimum learning experiences. This commitment applies to students who have special needs due to a disability. If you have a disability and will need accommodations while attending WBU, please complete this form. Will you require accommodations each semester? Reasonable accommodation does not negate requirements for successful completion of a program, course, service and/or activity, adherence to generally acceptable standards of behavior and the College’s General and Academic Student Rights and Responsibilities, and adherence to administrative and faculty/staff directions and instructions. An otherwise qualified student who requires attendant care services must make arrangements to provide for his/her own attendant care services. The College does not assume the coordination or financial responsibilities for attendant care services. if the individual would still pose a direct threat to the health or safety of himself/herself or others. The student will be provided minimal/temporary accommodations if the documentation provided supported the accommodation in a different setting. The student will sign a Temporary Accommodation Agreement. The agreement will clearly state the provisional accommodations and termination date. The student who is provided temporary accommodations must present documentation that complies with the College’s Documentation Policy by the end of the current semester in order for accommodations to continue. The student who does not present documentation that complies with the College’s Documentation Policy by the end of the current semester will forfeit his/her right to accommodations for future semesters until appropriate documentation is provided.